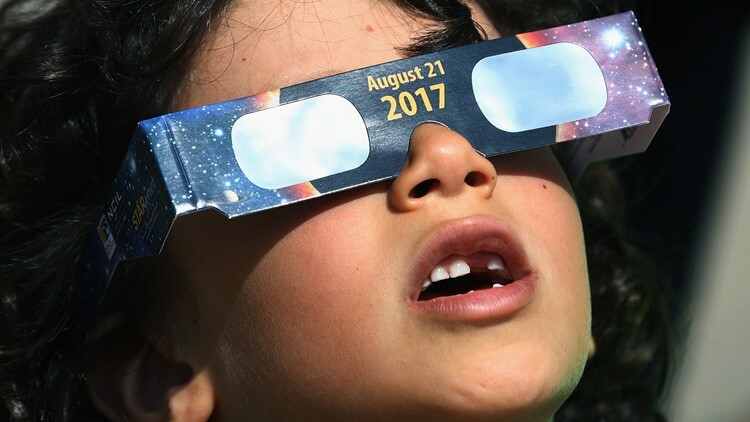 It's not too late to donate your gently-used eclipse glasses! 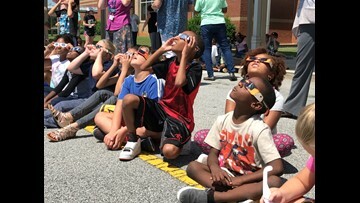 You can take your eclipse glasses to libraries in St. Louis and St. Charles counties as well as the St. Louis Science Center. side's Art Holliday shows how we cheered, we cried, got married, and briefly forgot how crazy the world is during the total eclipse. Crowds cheered and jaws dropped, as the middle of the day turned to dusk. It can take months, even a year, for eyes to return to normal — if it they do at all. Bryan Kluge and Lauren Summerville tied the knot during the total solar eclipse after nine years together. 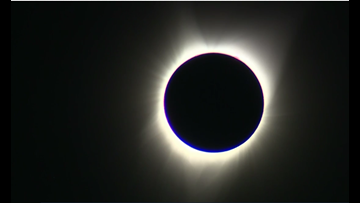 It's a historic total solar eclipse and for the babies born on August 21 the day is even sweeter. The big leaguers were in awe like everyone else. "Something magical happens and you just can't explain it," said Grazioso, "and I expect to be moved by this moment. I'm ecstatic."